This set began with a true jet-black base. A double layered graphic was hand laid out on each part symmetrical side to side. A blend of silver, white, and dark grey textured effects are airbrushed within each graphic. 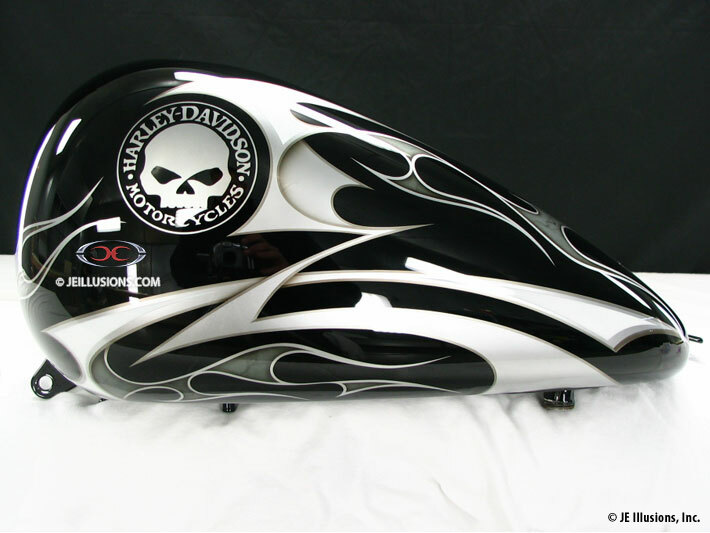 The Harley-Davidson Willie G. Skull Logos are on Each Side of the Tank. 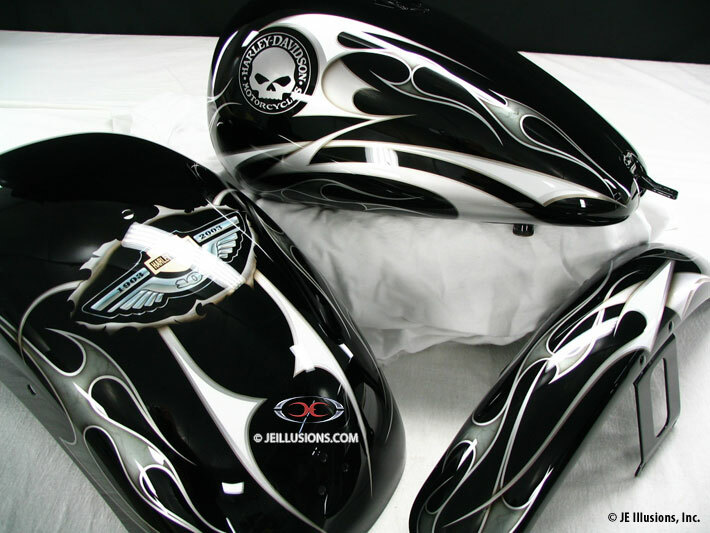 A second set features a custom eagle logo on the tank wtih a spider web onthe fender.